Dr. Hanli Liu is a senior scientist at the High Altitude Observatory, National Center for Atmospheric Research. He received a B.S. in Fluid Mechanics from the University of Science and Technology of China, and a Ph.D. in Atmospheric and Space Physics from the University of Michigan. He came to the Observatory in 1997 as a postdoctoral researcher, and joined the scientific staff in 1999. His research includes: theoretical, numerical, and interpretive studies of the dynamics, structure, and variability of the Earth's middle and upper atmosphere; coupling of different atmospheric regions on global and regional scales, including impacts of lower atmospheric forcing on space weather; atmospheric waves and geophysical turbulence. He is leading the thermosphere/ionosphere extension of the Whole Atmosphere Community Climate Model (WACCM-X). 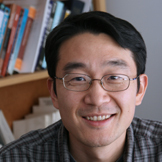 Han-Li Liu's research includes the theoretical, numerical, and interpretive studies of the dynamics, structure, and solar/terrestrial responses of the Earth's middle and upper atmosphere, with special emphasis on modeling physical and chemical processes on both global and local scales, and the nonlinear couplings of the global and local scale processes and different regions of the atmosphere. He also works on the development and improvement of general circulation models (GCMs) and parameterization schemes for the GCMs, including the NCAR Thermosphere-Ionosphere-Mesosphere-Electrodynamics GCM (TIME-GCM) and the Whole Atmosphere Community Climate Model (WACCM); thermospheric extension of WACCM; development of diagnostic tools for analyzing the large scale data sets of the model results and interpretive studies of observations using model diagnostics; geophysical turbulence and self-organized critical phenomena in geophysics. 2011-Present Co-Chair, Whole Atmosphere Working Group, NCAR Community Earth System Model (CESM). 2009-Present Member, NOAA Space Weather Prediction Center (SWPC) Interest Group. 2007-Present Adjunct Associate Professor, University of Colorado, Boulder. 2004-Present Visiting Professor, Key Laboratory for Space Weather, Chinese Academy of Sciences, China. 2006-2009 Associate Editor, Journal of Geophysical Research-Space Physics. 2005-2008 Chair, HAO Visitor Committee. 2007-2009 Member, CEDAR Science Steering Committee. 2004-2007 Faculty Affiliate, Colorado State University. Liu, H.-L., and M. E. Hagan, Local heating/cooling of the mesosphere due to gravity wave and tidal coupling, Geophys. Res. Lett., 25, 2941-2944, 1998. Liu, H.-L., M. E. Hagan, and R. G. Roble, Local mean state changes due to gravity wave breaking modulated by diurnal tide, J. Geophys. Res., 105, 12,381-12,396, 2000. Liu, H.-L., Temperature changes due to gravity wave saturation, J. Geophys. Res., 105, 12,329-12,336, 2000. Taylor, M. J., W. R. Pendleton, Jr., H.-L. Liu, C. Y. She, L. C. Gardner, R. G. Roble, V. Vasoli, Large amplitude perturbations in mesospheric OH Meinel temperatures around the autumnal equinox transition period, Geophys. Res. Lett., 28, 1899-1902, 2001. Liu, H.-L., R. G. Roble, M. J. Taylor, and W. R. Pendleton, Jr., Mesospheric planetary waves at northern hemisphere fall equinox, Geophys. Res. Lett., 28, 1903-1906, 2001. Norman, J. P., P. Charbonneau, S. W. McIntosh, and H.-L. Liu, Waiting time distributions in lattice models of solar flares, ApJ, 557, 891-896, 2001. Charbonneau, P., S. W. McIntosh, H.-L. Liu, and T. J. Bogdan, Avalanche models for solar flares, Solar Phys., 203, 321-353, 2001. McIntosh, S. W., P. Charbonneau, T. J. Bogdan, H.-L. Liu, and J. P. Norman, Geometrical properties of avalanches in self-organized critical models of solar flares, Phys. Rev. E, 65, 046125, 2002. Sassi, F., R. Garcia, B. Boville, and H.-L. Liu, On temperature inversions and the mesospheric surf zone, J. Geophys. Res., 107, 4380, doi:10.1029/2001JD001525, 2002. Liu, H.-L., and R. G. Roble, A study of a self-generated stratospheric sudden warming and its mesospheric/lower thermospheric impacts using coupled TIME-GCM/CCM3, J. Geophys. Res., 107, 4695, doi:10.1029/2001JD001533, 2002. Liu, H.-L., P. Charbonneau, A. Pouquet, T. J. Bogdan, and S. W. McIntosh, Continuum analysis of an avalanche model for solar flares, doi:10.1103, Phys. Rev. E., 66, 056111, 2002. Liu, H.-L., and J. W. Meriwether, Analysis of a temperature inversion event in the lower mesosphere, J. Geophys. Res., 109, D02S07, 10.1029/2002JD003026, 2004. Liu, H.-L., and R. G. Roble, Dynamical processes related to the atomic oxygen equinox transition, J. Atmos. Solar Terr. Phys., 66, 769-779, 2004. Liu, H.-L., E. R. Talaat, R. G. Roble, R. S. Lieberman, D. M. Riggin, and J.-H Yee, 6.5-Day wave and its seasonal variability in the middle and upper atmosphere, J. Geophys. Res., 109, D21112, doi:10.1029/2004JD004795, 2004. She, C.-Y., T. Li, R. L. Collins, T. Yuan, B. P. Williams, T. Kawahara, J. D. Vance, P. Acott, D. A. Krueger, H.-L. Liu, and M. E. Hagan, Tidal perturbations and variability in mesopause region over Ft. Collins, CO (41N, 105W): continuous multi-day temperature and wind lidar observations, Geophys. Res. Lett., 31, L24111, 10.1029/2004GL021165, 2004. Liu, H.-L., and R. G. Roble, Dynamical coupling of the stratosphere and mesosphere in the 2002 Southern Hemisphere major stratospheric sudden warming, Geophys. Res. Lett., 32, L13804, 2005. Azeem, S. M. I., E. R. Talaat, G. G. Sivjee, H.-L. Liu, and R. G. Roble, Observational study of the 4-day wave in the mesosphere preceding the sudden stratospheric warming event, Geophys. Res. Lett., 32, L15804, 2005. Taylor, M.J., A. K. Taori, D. R. Hatch, H.-L. Liu., and R. G. Roble, Characterization of the Semi-Annual-Oscillation in mesospheric temperature at low-latitudes, Advances in Space Research, 35, 2037-2043, Sp. Iss. 2005. Riggin, D.M., H.-L. Liu, R.S. Lieberman, R.G. Roble, J.M.Russell III, C.J. Mertens, M.G. Mlynczak, D. Pancheva, S.J. Franke, Y. Murayama, A.H. Manson, C.E. Meek, and R.A. Vincent, Observations of 5-day wave in the mesosphere and lower thermosphere, J. Atmos. Solar Terr. Phys, 68, 323-339, 2006. Oberheide, J., H.-L. Liu, O. A. Gusev, and D. Offermann, Mesospheric surf zone and temperature inversion layers in early November 1994, J. Atmos. Solar Terr. Phys., 68, 1752-1763, 2006. Liu, H.-L., Spectral properties of one-dimensional diffusive systems subject to stochastic forcing, J. Atmos. Sci., 64, 579-593, 2007. Xu, J., H.-L. Liu, W. Yuan, A. K. Smith, R. G. Roble, C. J. Mertens, J. M. Russell III, and M. G. Mlynczak, Mesopause structure from TIMED/SABER observations , J. Geophys. Res. (Atmosphere), 112, D09102, doi:10.1029/2006JD007711, 2007. Li, T., C.-Y. She, H.-L. Liu, and M. T. Montgomery, Evidence of a gravity wave breaking event and the estimation of the wave characteristics from sodium lidar observation over Fort Collins, CO (41N 105W), Geophys. Res. Lett., 34, L05815, doi:10.1029/2006GL028988, 2007. Richter, J. H., M. A. Geller, R. R. Garcia, H.-L. Liu, and F. Zhang, Report on the gravity wave retreat, Stratospheric Processes and Their Role in Climate (SPARC) Newsletter, No 28, 26-27, 2007. Liu, H.-L., On the large wind shear and fast meridional transport above the mesopause, Geophys. Res. Lett., 34, L08815, doi:10.1029/2006GL028789, 2007. Li, T., C.-Y. She, S. E. Palo, Q. Wu, H.-L. Liu, and M. L. Salby, Coordinated Lidar and TIMED observations of the quasi-two-day wave during August 2002-2004 and possible quasi-biennial oscillation influence, Adv. Space Res., 41, 1462-1470, 2008. Liu, H.-L., T. Li, C.-Y. She, J. Oberheide, Q. Wu, M. E. Hagan, J. Xu, R. G. Roble, M. G. Mlynczak, J. M. Russell III, Comparative study of short term tidal variability, J. Geophys. Res., 112, doi:10.1029/2007JD008542, 2007. Li, T., C.-Y. She, H.-L. Liu, T. Leblanc, and I. S. McDermid, Sodium lidar observed strong inertia-gravity wave activities in the mesopause region over Fort Collins, CO (41N, 105W), J. Geophys. Res., 112, Art. No. D22104, 2007. Zhao, Y., M. J. Taylor, H.-L. Liu, and R. G. Roble, Seasonal oscillations in mesospheric temperatures at low-latitudes, J. Atmos. Solar Terr. Phys., 69, 2367-2378, 2007. Xu, J., A. K. Smith , W. Yuan, H.-L. Liu, Q. Wu, M. G. Mlynczak, and J. M. Russell III, The global structure and long term variations of zonal mean temperature observed by TIMED/SABER, J. Geophys. Res., 112, D24106, 10.1029/2007JD008546, 2007. Liu, X., J. Xu, H.-L. Liu, and R. Ma, Nonlinear interactions between gravity waves with different wavelengths and diurnal tide, J. Geophys. Res., 113, doi:10.1029/2007JD009136, 2008. Deng, Y., A. D. Richmond, A. J. Ridley, and H.-L. Liu, Assessment of the non-hydrostatic effect on the upper atmosphere using a general circulation model (GCM), Geophys. Res. Lett., 35, L01104, doi:10.1029/2007GL032182, 2008. Yuan, T., C.-Y. She, D. A. Krueger, F. Sassi, R. R. Garcia, R. G. Roble, H.-L. Liu, and H. Schmidt, Climatology of mesopause region temperature, zonal wind and meridional wind over Fort Collins, CO (41N, 105W), J. Geophys. Res., 113, D03105, 10.1029/2007JD008697, 2008. Wu, Q., D. A. Ortland, T. L. Killeen, R. G. Roble, M. E. Hagan, H.-L. Liu, S. C. Solomon, J. Xu, W. R. Skinner, and R. J. Niciejewski, Global distribution and inter-annual variations of mesospheric and lower thermospheric neutral wind diurnal tide, Part 1: Migrating tide, J. Geophys. Res., 113, A05308, 10.1029/2007JA012542, 2008. Wu, Q., D. A. Ortland, T. L. Killeen, R. G. Roble, M. E. Hagan, H.-L. Liu, S. C. Solomon, J. Xu, W. R. Skinner, and R. J. Niciejewski, Global distribution and inter-annual variations of mesospheric and lower thermospheric neutral wind diurnal tide, Part 2: Non-gigrating tide, J. Geophys. Res., 113, A05309, 10.1029/2007JA012543, 2008. Tian, F., J. Kasting, H.-L. Liu, and R. G. Roble, Hydrodynamic planetary thermosphere model. I: The response of the Earth’s thermosphere to extreme solar EUV conditions and the significance of adiabatic cooling, J. Geophys. Res.-Planetary, 113, E05008, 10.1029/2007JE002946, 2008. Fritts, D. C, S. L Vadas, D. M. Riggin, M. A. Abdu, I. S. Batista, H. Takahashi, A. Medeiros, F. Kamalabadi, H.-L. Liu, B. G. Fejer, and M. J. Taylor, Gravity wave and tidal influences on equatorial spread F based on observations during the Spread F Experiment (SpreadFEx), Ann. Geophys., 26, 3235-3252, 2008. Fritts, D. C, M. A. Abdu, B. R. Batista, I. S. Batista, P. P. Batista, R. Buriti, B. R. Clemesha, J. Comberiate, T. Dautermann, E. de Paula, B. J. Fechine, B. Fejer, D. Gobbi, J. Haase, F. Kamalabadi, B. Laughman, P. P. Lima, H.-L. Liu, A. Medeiros, D. Pautet, F. Sao Sabbas, J. H. A. Sobral, P. Stamus, H. Takahashi, M. J. Taylor, S. L. Vadas, and C. Wrasse, The spread F Experiment (SpreadFEx): Program overview and first results, Earth Planets Space, 61, 411-430, 2009. Fritts, D. C., M. A. Abdu, B. R. Batista, I. S. Batista, P. P. Batista, R. Buriti, B. R. Clemesha, T. Dautermann, E. R. de Paula, B. J. Fechine, B. G. Fejer, D. Gobbi, J. Haase, F. Kamalabadi, E. A. Kherani, B. Laughman, P. P. Lima, H.-L. Liu, A. Medeiros, P.-D. Pautet, D. M. Riggin, F. S. Rodrigues, F. São Sabbas, J. H. A. Sobral, P. Stamus, H. Takahashi, M. J. Taylor, S. L. Vadas, F. Vargas, and C. M. Wrasse, Overview and summary of the Spread F Experiment (SpreadFEx), Ann. Geophys., 27, 2141-2155, 2009. Vadas, S. L., M. J. Taylor, D. Pautet, P. A. Stamus, D. C. Fritts, H.-L. Liu, F. Sao Sabbas, V. Thiago, P. Batista, and H. Takahashi, Convection: the likely source of the medium-scale gravity waves observed in the OH airglow layer near Brasilia, Brazil, during the SpreadFEx Campaign, Ann. Geophys., 27, 231-259, 2009. Chu, X., C. Yamashita, P. J. Espy, G. J. Nott, E. J. Jensen, H.-L. Liu, W. Huang, and J. P. Thayer, Responses of Polar Mesospheric Cloud Brightness to Stratospheric Gravity Waves at the South Pole and Rothera, Antarctica, J. Atmos. Solar Terr. Phys, 71, 434-445, doi: 10.1016/j.jastp.2008.10.002, 2009. Chang, L. C., S. E. Palo, and H.-L. Liu, Short-term Variation of the s=1 Nonmigrating Semidiurnal Tide During the 2002 Sudden 2 Stratospheric Warming, J. Geophys. Res., 114, D03109, 10.1029/2008JD010886, 2009. Liu, H.-L., F. Sassi, and R. R. Garcia, Error growth in a whole atmosphere climate model, J. Atmos. Sci., 66, 173-186, 2009. Liu, H.-L., D. R. Marsh, C.-Y. She, Q. Wu, and J. Xu, Momentum balance and gravity wave forcing in the mesosphere and lower thermosphere, Geophys. Res. Lett., 36, L07805, doi:10.1029/2009GL037252, 2009. Kim, E., H.-L. Liu, and J. Anderson, Probability distribution function forself-organization of shear flows, Phys. Plasmas, 16, 052304, DOI:10.1063/1.3132631, 2009. Vadas, S., and H.-L. Liu, The generation of large-scale gravity waves and neutral winds in the thermosphere from the dissipation of convectively-generated gravity waves, J. Geophys. Res., 114, A10310, doi:10.1029/2009JA014108, 2009. Xu, J., A. K. Smith, H.-L. Liu, W. Yuan, Q. Wu, G. Jiang, M. G. Mlynczak, J. M. Rusell III, and S. J. Franke, Seasonal and QBO variations in the migrating diurnal tide observed by TIMED, J. Geophys. Res., D13107, doi:10.1029/2008JD011298, 2009. Yamashita, C., X. Chu, H.-L. Liu, P. J. Espy, G. J. Nott, and W. Huang, Gravity wave characteristics and seasonal variations observed by lidar at the South Pole and Rothera, Antarctica, J. Geophys. Res., 114, D12101, doi:10.1029/2008JD011472, 2009. Yue, J., S. L. Vadas, C.-Y. She, T. Nakamura, S. C. Reising, H.-L. Liu, P. A. Stamus, D. A. Krueger, W. Lyons, and T. Li, Concentric gravity waves in the mesosphere generated by convective plumes in the lower atmosphere, J. Geophys. Res., 114, D06104, doi:10.1029/2008JD011244, 2009. Li, T., C. -Y. She, H.-L. Liu, J. Yue, T. Nakamura, D. A. Krueger, Q. Wu, X. Dou, and S. Wang, Observation of local tidal variability and instability, along with dissipation of diurnal tidal harmonics in the mesopause region over Fort Collins, CO (41N, 105W), J. Geophys. Res., 114, D06106, doi:10.1029/2008JD011089, 2009. Dou, X., T. Li, J. Xu, H.-L. Liu, X. Xue, S. Wang, T. Leblanc, I. S. McDermid, A. Hauchecorne, P. Keckhut, H. Bencherif, C. Heinselman, W. Steinbrecht, M. G. Mlynczak, and J. M. Russell III, Seasonal oscillations of middle atmosphere temperature observed by Rayleigh lidars and their comparisons with TIMED/SABER observations, J. Geophys. Res., 114, D20103, doi:10.1029/2008JD011654, 2009. Xu, J., A. K. Smith, H.-L. Liu, W. Yuan, Q. Wu, G. Jiang, M. G. Mlynczak, and J. M. Russell III, Estimation of the equivalent Rayleigh friction in MLT region from the migrating diurnal tides observed by TIMED, J. Geophys. Res., 114, D23103, doi:10.1029/2009JD012209, 2009. Yamashita, C. H.-L. Liu, and X. Chu, Responses of mesosphere and lower thermosphere temperatures to gravity wave forcing during stratospheric sudden warming, Geophys. Res. Lett.,37, L09803, doi:10.1029/2009GL042351, 2010. Liu, H.-L. W. Wang, A.D. Richmond, and R.G. Roble, Ionospheric variability due to planetary waves and tides for solar minimum conditions, J. Geophys. Res., 115, A00G01, doi:10.1029/2009JA015188, 2010. Goncharenko, L. P., J. Chau, H.-L. Liu and A. J. Coster, Unexpected connections between the stratosphere and ionosphere, Geophys. Res. Lett., 37, L10101, doi:10.1029/2010GL043125, 2010. Chang, L. C., S. E. Palo, H.-L. Liu T.-W. Fang, and C. S. Lin, Response of the thermosphere and ionosphere to an ultra fast Kelvin wave, J. Geophys. Res., 115, A00G04, doi:10.1029/2010JA015453, 2010. Yue, J., C.-Y. She, and H.-L. Liu, Large wind shears and stabilities in the mesopause region observed by Na wind-temperature lidar at midlatitude, J. Geophys. Res, 115, A10307, doi:10.1029/2009JA014864, 2010. Liu, H.-L. B. T. Foster, M. E. Hagan, J. M. McInerney, A. Maute, L. Qian, A. D. Richmond, R. G. Roble, S. C. Solomon, R. R. Garcia, D. Kinnison, D. R. Marsh, A. K. Smith, J. Richter, F. Sassi, and J. Oberheide, Thermosphere extension of the Whole Atmosphere Community Climate Model, J. Geophys. Res., 115, A12302, doi:10.1029/2010JA015586, 2010. Ma, R., J. Xu, W. Wang, J. Lei, H.-L. Liu, A. Maute, and M. E. Hagan, Variations of the nighttime thermospheric mass density at low and middle latitudes, J. Geophys. Res., 115, A12301, doi:10.1029/2010JA015784, 2010. Yamashita, C., H.-L. Liu, and X. Chu, Gravity wave variations during the 2009 stratospheric sudden warming as revealed by ECMWF-T799 and observations, Geophys. Res. Lett., 37, L22806, doi:10.1029/2010GL045437, 2010. Yue, J., and H.-L. Liu, Fast meridional transport in the lower thermosphere by planetary-scale waves, J. Atmos. Solar Terr. Phys., 72, 1372-1378, 2010. Chang, L. C., S. E. Palo, and H.-L. Liu, Short-term variability in the migrating diurnal tide caused by interactions with the quasi 2 day wave, J. Geophys. Res., 116, D12112, doi:10.1029/2010JD014996, 2011. Chau, J. L., L. P. Goncharenko, B. G. Fejer, and H.-L. Liu, Equatorial and Low Latitude Ionospheric Effects During Sudden StratosphericWarming Events: Ionospheric Effects During SSW Events, Space Sci. Rev., 158, doi:10.1007/s11214-011-9797-5, 2011. Lei, J., J. M. Forbes, H.-L. Liu, X. Dou, X. Xue, T. Li, and X. Luan, Latitudinal variation of lower thermosphere density: observations and modeling, J. Geophys. Res., 116, A12306, doi:10.1029/2011JA017067, 2011. Chang, L. C., W.E. Ward, S. E. Palo, J. Du, D.-Y Wang, H.-L. Liu, M. E. Hagan, Y. Portnyagin, J. Oberheide, L.P. Goncharenko, T. Nakamura, P. Hoffmann, W. Singer, P. Batista, B. Clemesha, A.H. Manson, D.M. Riggin, C.-Y. She, T. Tsuda, and T. Yuan, Comparison of Diurnal Tide in Models and Ground-Based Observations during the 2005 Equinox CAWSES Tidal Campaign, J. Atmos. Solar Terr Phys., 78-79, doi:10.1016/j.jastp.2010.12.010, 2012. Yue, J., H.-L. Liu, and L. C. Chang, Numerical study of the quasi-two-day wave structures in the lower thermosphere, J. Geophys. Res, 117, D05111, doi:10.1029/2011JD016574, 2012. Xue, X., H.-L. Liu, and X. Dou, Parameterization of inertial gravity waves and generation of quasi-bienniel oscillation, J. Geophys. Res., 117, D06103, doi:10.1029/2011JD016778. Lu, X., H.-L. Liu, A. Z. Liu, J. Yue, J. M. McInerney, and Z. H. Li, Momentum budget of the migrating diurnal tide in the Whole Atmosphere Community Climate Model, J. Geophys. Res., 117, D07112, doi:10.1029/2011JD017089, 2012. Tan, B., X. Chu, H.-L. Liu, C. Yamashita, and J. M. Russell III, Zonal-mean global teleconnection from 15 to 110 km derived from SABER and WACCM, J. Geophys. Res., 117, D10106, doi:10.1029/2011JD16750, 2012. Pedatella, N. M., H.-L. Liu, and M. E. Hagan, Day-to-day migrating and nonmigrating tidal variability due to the six-day planetary wave, J. Geophys. Res., 117, A06301, doi:10.1029/2012JA017581, 2012. Yue, J., W. Wang, A. D. Richmond, and H.-L. Liu, Quasi-two-day wave coupling of the mesosphere and lower thermosphere-ionosphere in the TIME-GCM: Two-day oscillations in the ionosphere, J. Geophys. Res., 117, A07305, doi:10.1029/2012JA017815, 2012. Pedatella, N. M.; H.-L. Liu, A. D. Richmond, Atmospheric semidiurnal lunar tide climatology simulated by the Whole Atmosphere Community Climate Model, J. Geophys. Res., 117, 10.1029/2012JA017792, 2012. Pedatella, N. M., H.-L. Liu, A. D. Richmond, A. Maute, and T.-W. Fang, Simulations of solar and lunar tidal variability in the mesosphere and lower thermosphere during sudden stratosphere warmings and their influence on the low-latitude ionosphere, J. Geophys. Res., 117, A08326, doi:10.1029/2012JA017858, 2012. Pedatella, N. M., and H.-L. Liu, Tidal variability in the mesosphere and lower thermosphere due to the El Niño–Southern Oscillation, Geophys. Res. Lett., 39, L19802, doi:10.1029/2012GL053383, 2012. Qian, L., A. G. Burns, H.-L. Liu, and P. C. Chamberlin, Effect of a Solar Flare on a Traveling Atmospheric Disturbance, J. Geophys. Res., doi:10.1029/2012JA017806, in press, 2012. Liu, H.-L., WACCM-X Simulation of Tidal and Planetary Wave Variability in the Upper Atmosphere, AGU Monograph on Modeling the Ionosphere-Thermosphere System, Ed. J. Huba, R. Schunk, and G. Khazanov, in press, 2012. Dr. Hanli Liu has a personal webpage at http://people.hao.ucar.edu/liuh/.